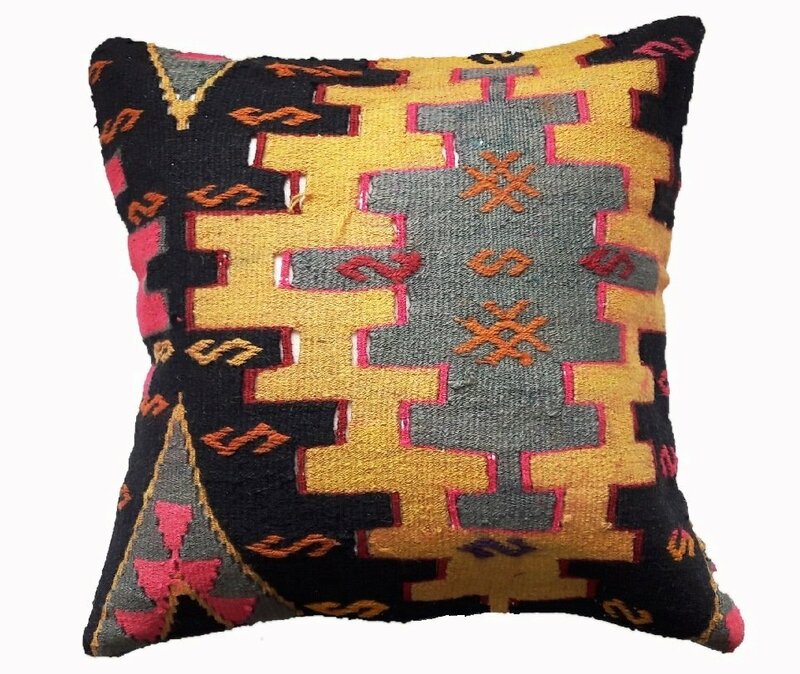 Turkish kilim cushion cover made of semi-antique handwoven Turkish rug. Made of 80-90 years old kilim rug. 100% wool and dyed with vegetable dyes. Zipper closure on reverse. Turkish cotton backing. Product shipped without fill. Shipping Worldwide via Turkish Post (delivery takes aprox. 7-14 days) We ship from Turkey. Tracking number will be provided. Iron on reverse side, medium.